If you are planning a holiday to Barbados and have considered whether to book a luxury villa or a resort stay, why not consider a blend of both? 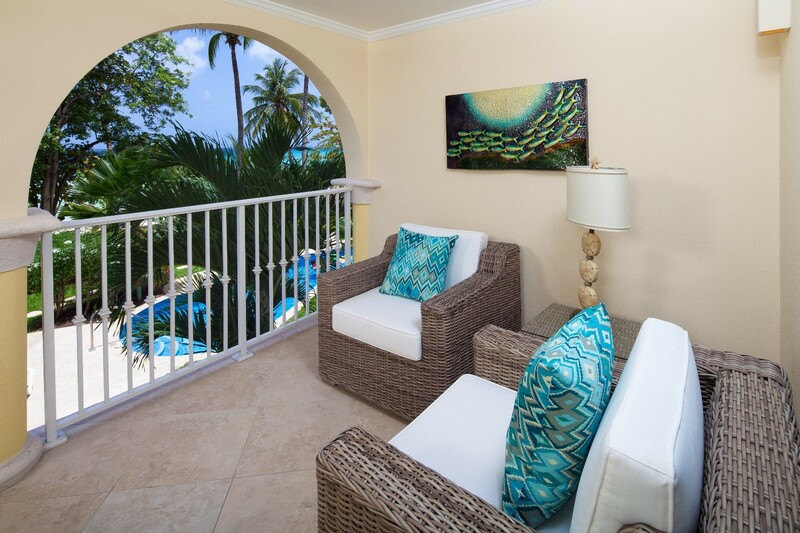 Guests of the charming Villa Sapphire Beach 116 get amenities and services similar to a resort, but in a setting that is more like a villa than a typical suite. The two-story villa has amazing views, and offers an array of indoor and outdoor living spaces. 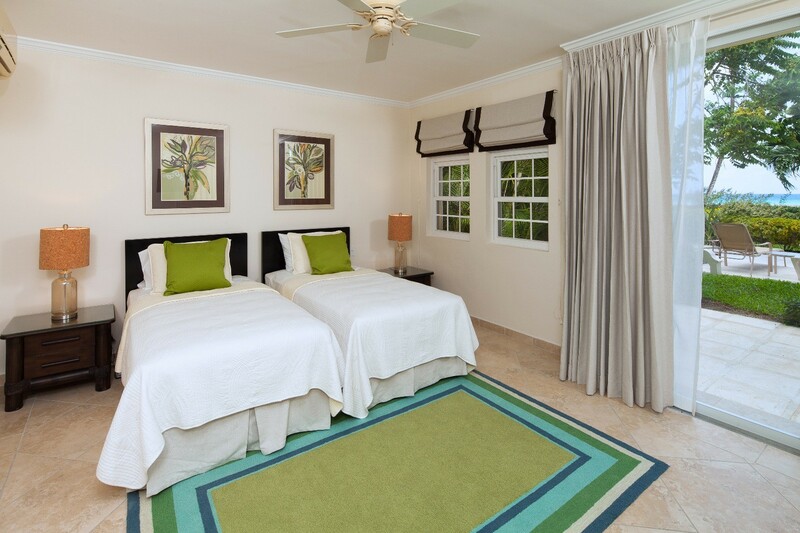 The lower level features a bedroom, bath and terrace that is just steps from the pool. Take a quick stroll across the grass and you are in the pool, or you can opt to recline on your loungers in the privacy of your palm-shaded, ground floor terrace. 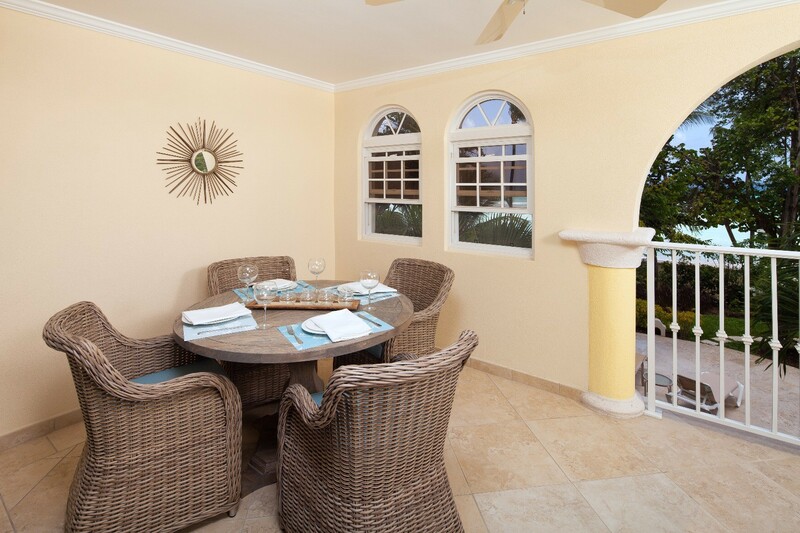 Above, the main living level offers you another verandah space which is fully-furnished in Caribbean style, with sea grass and wicker furniture, and serves a living room and dining area. Through the enormous glass doors, you enter the great room, and this uses a dynamic palette of sea green and blue along with sandy hues to create a wonderful living room and entertainment center, which opens to the kitchen. 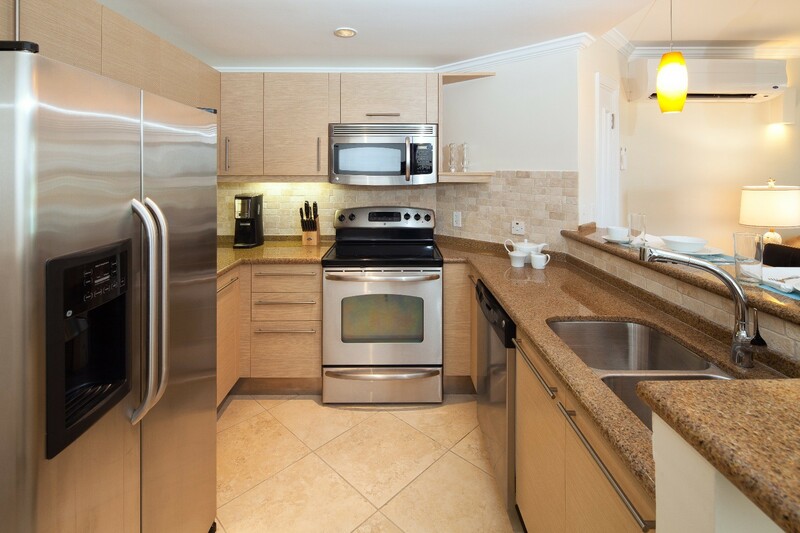 With a breakfast bar making it an open-air kitchen, it is a galley-style space that features stainless appliances and premium work surfaces. 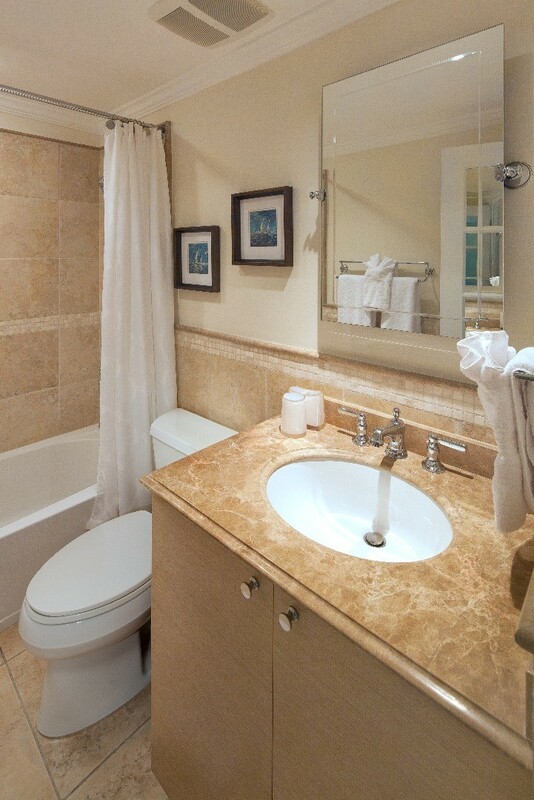 The bedrooms are both ensuite, the master is a queen suite and the lower level offers dual twins. 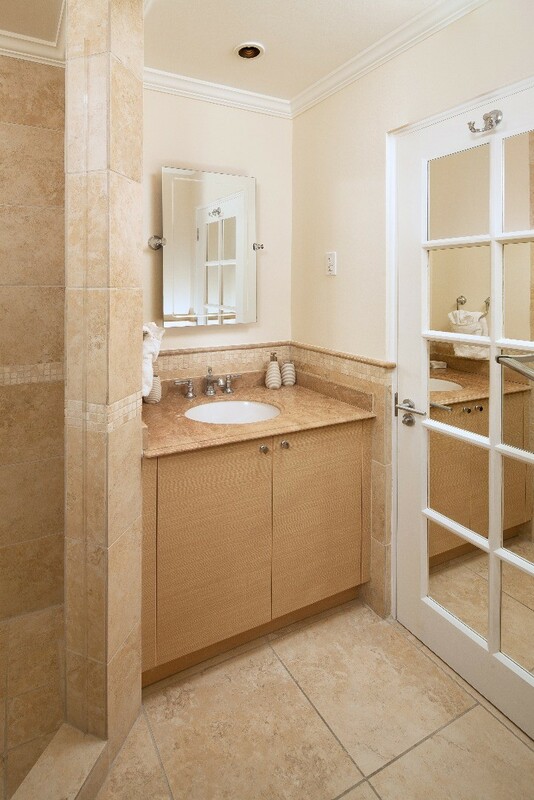 They are decorated with the same stylish hues, and are retreats of their own. 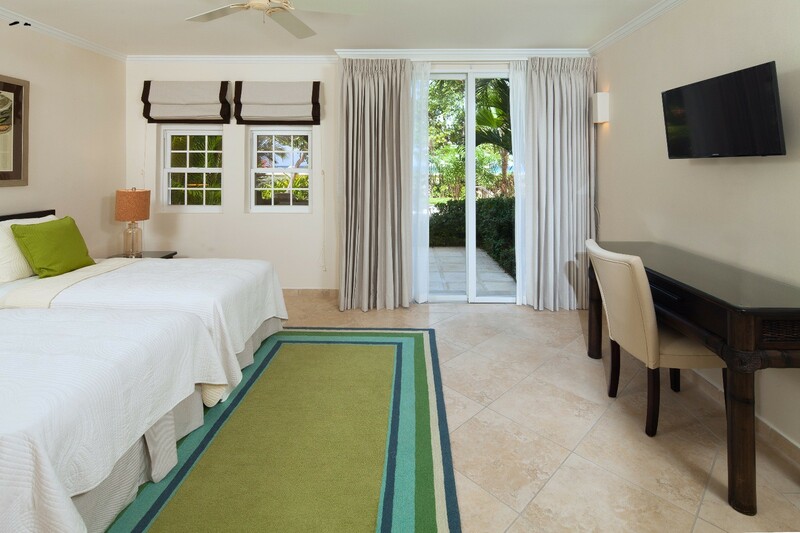 This all adds up to make the Villa Sapphire Beach 116 a great choice for families or friends seeking luxury while on an island holiday. Bedroom 1: Upper floor Master bedroom with a queen-size bed, A/C, ceiling fan, TV and en-suite bathroom with bathtub, shower, vanity and WC. 2 guests maximum. Bedroom 2: Ground floor bedroom with two single beds (can be made up as a king-size bed), A/C, ceiling fan, TV, access to pool deck and en-suite bathroom with shower, vanity and WC. 2 guests maximum. 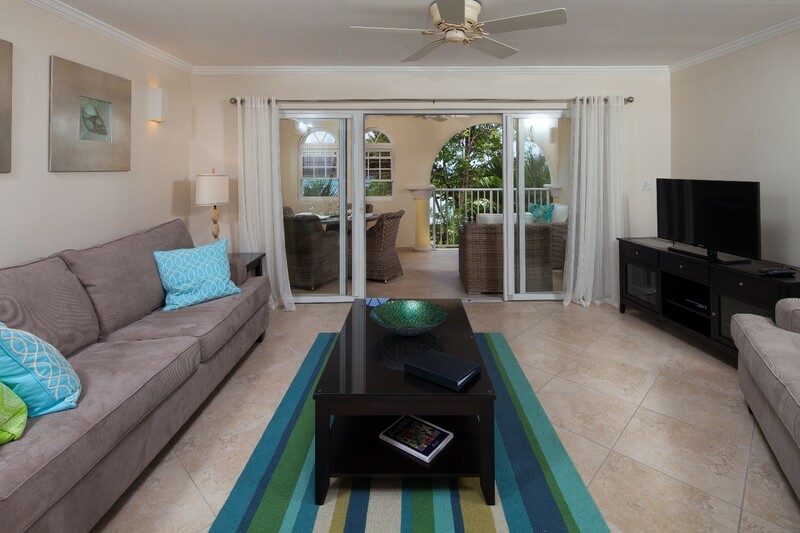 Sapphire Beach 116 is offering 15% off for travel between April 15, 2019 and June 30, 2019. Sapphire Beach 116 is offering 20% off as a result of pool maintenance for travel between September 2, 2019 and September 22, 2019.